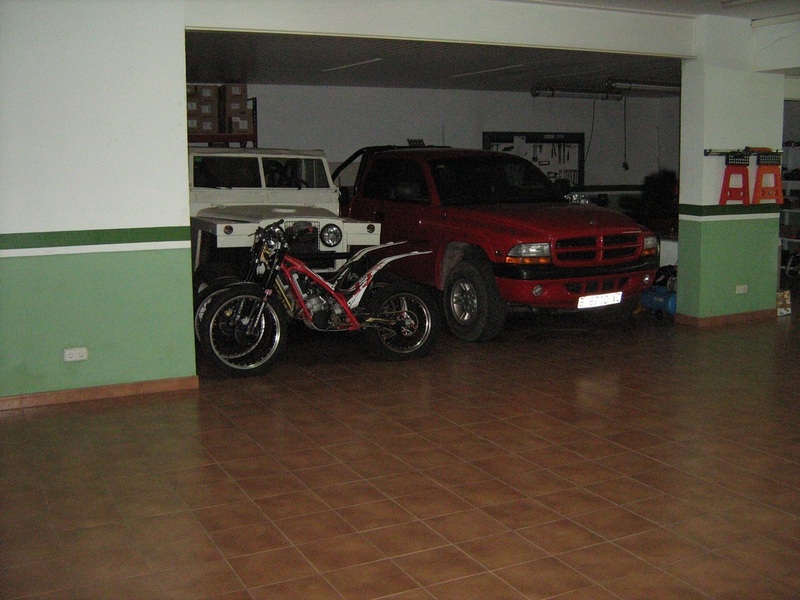 Jordi leads us into a huge garage under the house. 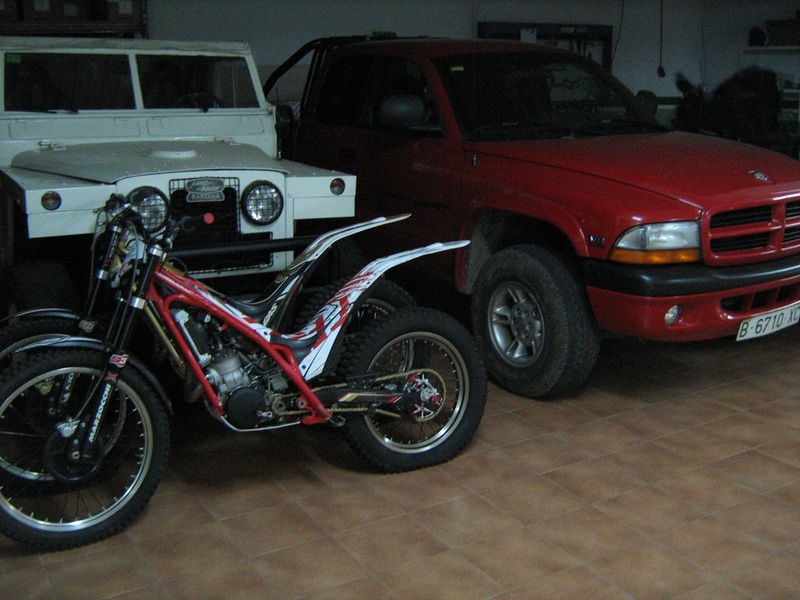 This is probably 4 times the size of a double garage with cars, jeeps, buggys, 2 of Pol Tarres’s last years GasGas bikes. He then walks through the huge garage. 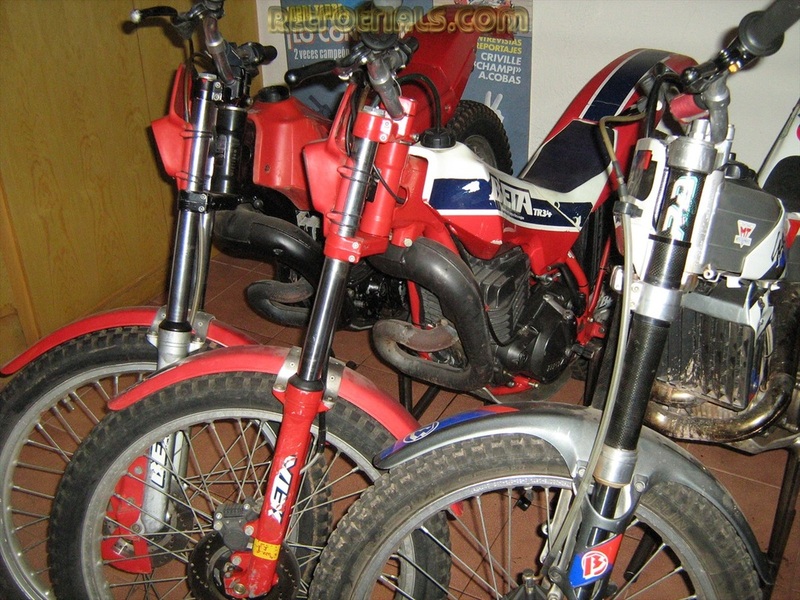 He tells me that Pols motorcycles will soon be sold. I explained to him that it would be surreal to see a bike advertised and call up to speak to the seller to find out it is Jordi Tarres. Jordi tells us that he does not sell himself. Jordi then walks us into a 20 foot long room with about 7 bikes contained within. There is an original pacman 80’s arcade machine against the wall. 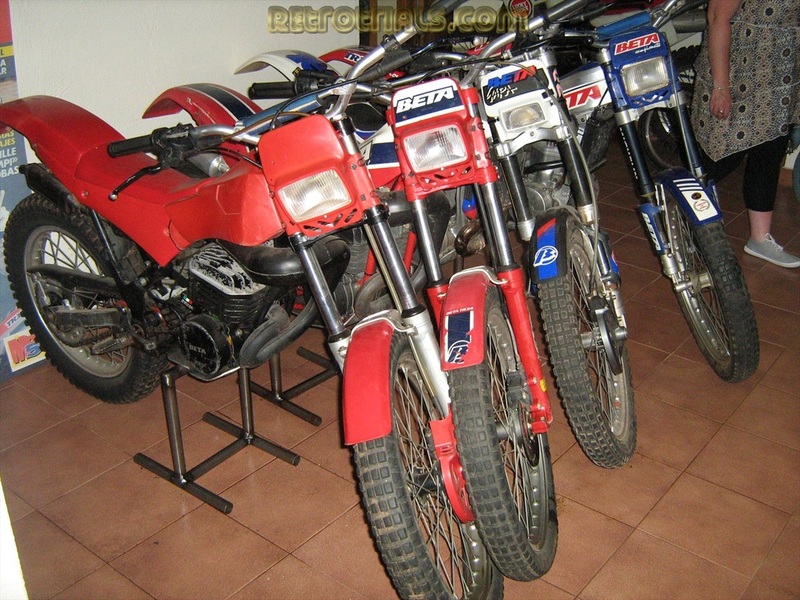 There is an immaculate RTL 250 in red white and blue. He told me he loved the Honda and thought it was very special due to its rarity and its Lejeune connections. It didn’t look as though it had been ridden. 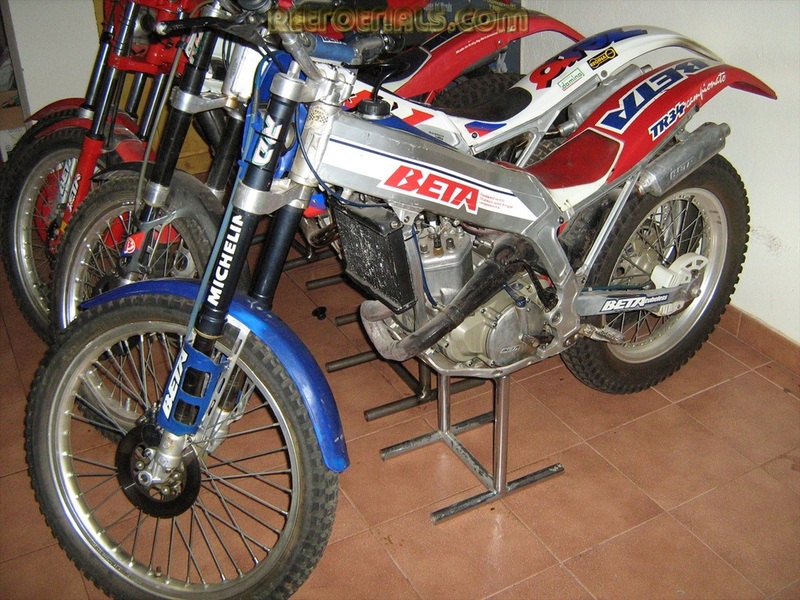 Also on display in his private collection were his World Championship winning Fortuna GasGas, his World Championship winning Beta Zero prototype. 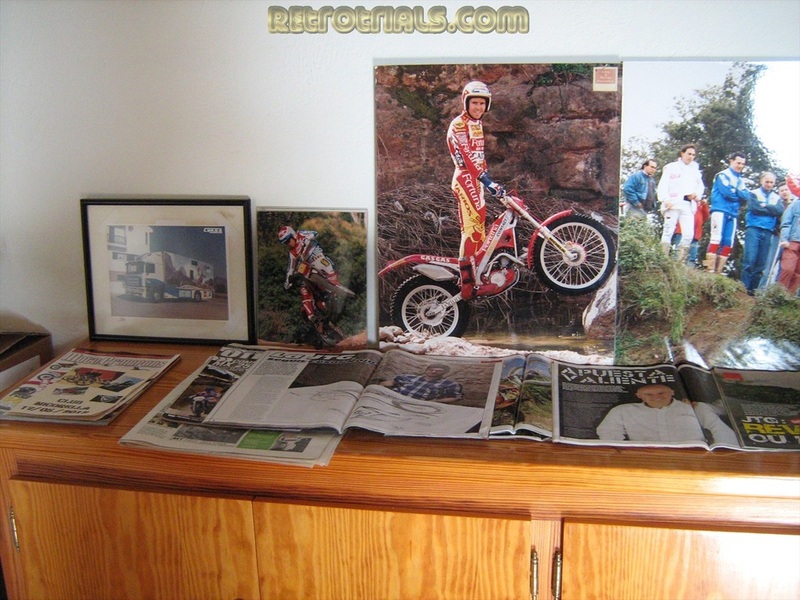 The later Beta Zero with white plastic was also present next to his World Championship winning Beta, ever the TR34 1987 stripey .Next to this was his first sponsored bike, the Beta TR32 in plain red. 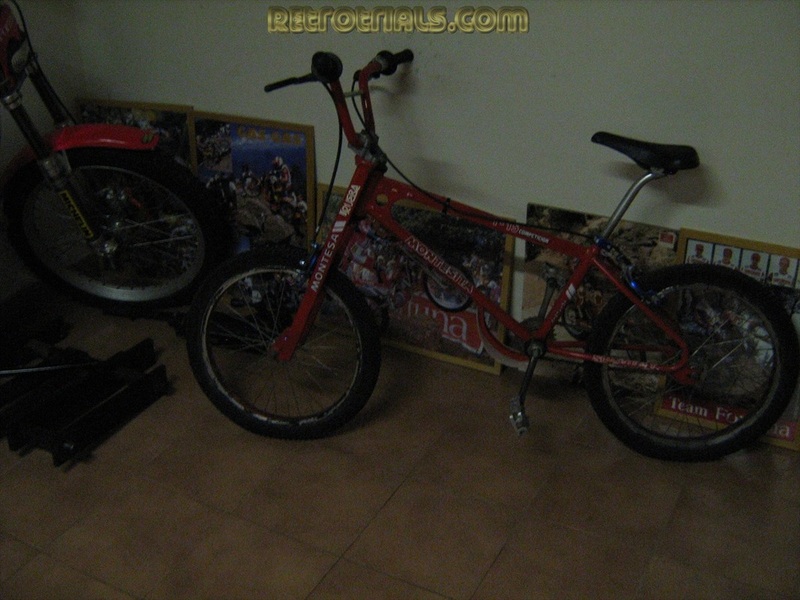 He mentions that he also has some bikes in the Barcelona museum also. He stands in front of the Beta Zero prototype and tells me that this was his best bike ever for him. He laughs and says the best and the most bad, referring to the new white plastic Gara model next to it. He tells me about the Beta TR34. 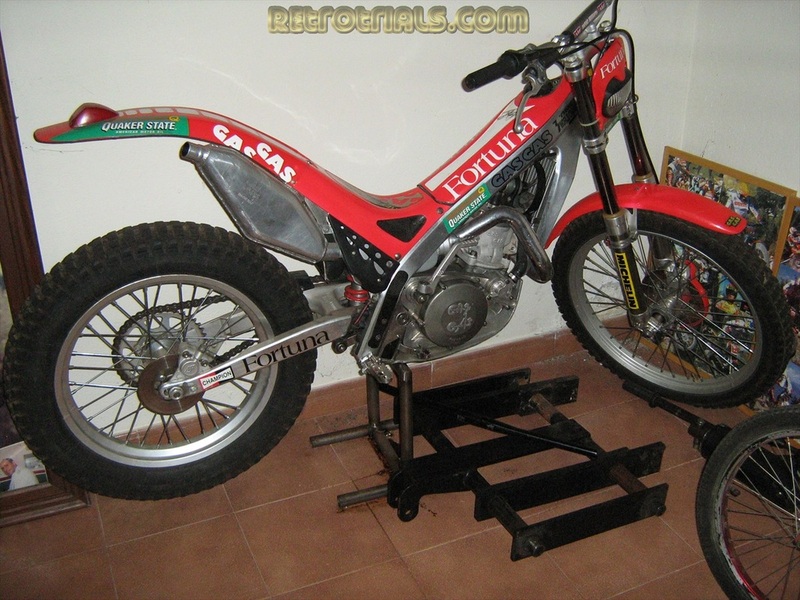 He went to a trial in Brazil and after he came back the bike was lost and no one could find it. 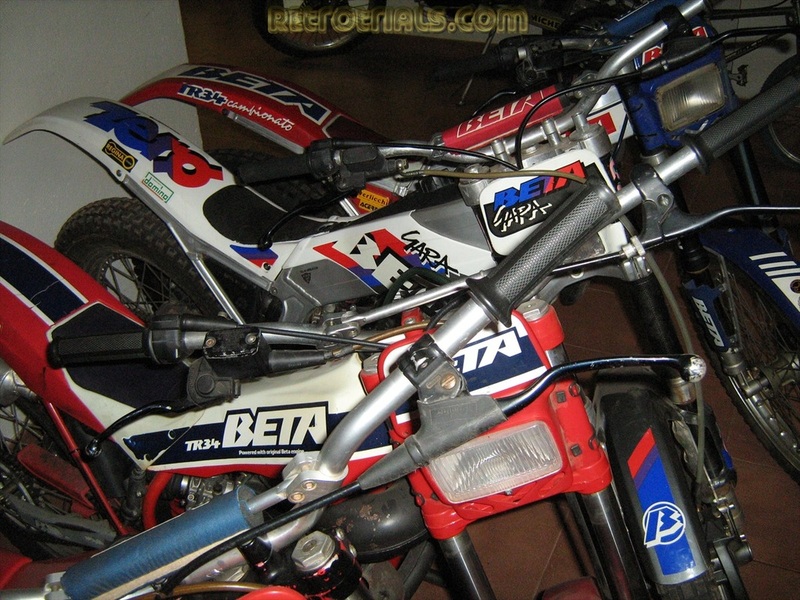 One day Ot Pi went to Beta to collect a bike and he also saw Jordi’s bike there and told him that they had it. After we had trouble getting it back because he didn’t have any documents (laughs loudly) and his brother contacts the local mafia and gets it back. It is a very special bike for him.